Shentel outage OR Shentel not working today? Here you can see what is happening with internet, TV or Phone service. Shentel is a telecommunication company which is providing services since 1902. It is a public company which is a local provider of big city service to small towns. There are about 455,000 subscribers using different services from Shentel service lines. The services offered by Shentel to its customers includes internet, wireless internet and digital phone. Moreover fiber internet, digital TV and security services are also available for business & home customers. Shentel service area covers up to rural Virginia, West Virginia, Pennsylvania and Maryland. 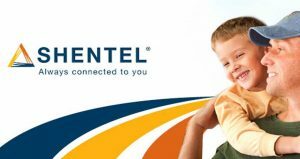 The wireless division of Shentel is in operation as a Sprint Affiliate. In 2016, May Shentel acquires Ntelos, its competitor with about $640 million. If you today got any problem with the service, you can here check the service status. 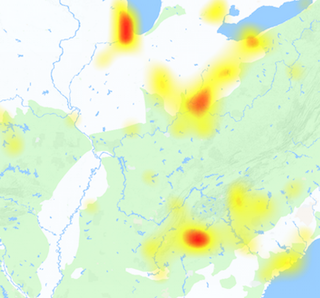 The outage map and reports graph will help you to see the current problems of service. However, if you have anything to share with us, or with our visitors you can use the comments section below. You can also initiate a discussion about a topic linking to Shentel or its any other services.